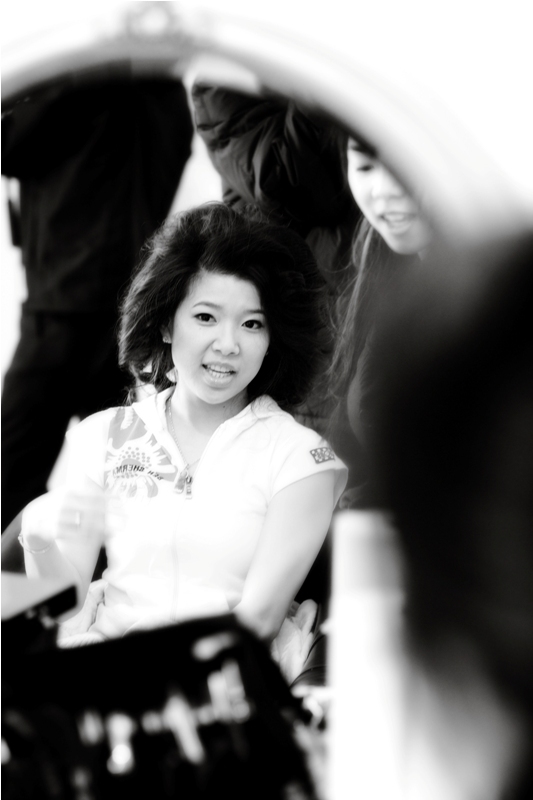 One of my earlier brides for the 2011 wedding season is Nha back in February. She was such a sweet heart! And I had the pleasure of meeting her gorgeous sister and mother on the wedding day. I am so happy to have been a part of her big day. Nha loved the lipstick and lipgloss from her wedding day, emailing me to ask for their brand and color so she can purchase them to use after the wedding. I specially mixed a custom color lipstick for Nha but her lip gloss is the Gloss Full Coleur from MakeUpForEver! I highly recommend it for every day wear. The shine is brilliant, the touch of color is flattering on everyone, and the minty feeling leaves you feeling fresh and awake. Nha getting her hair done! She looks so cute even with her hair teased out! Her finished hairstyle! Nha wanted a lot of texture for her romantic half-up half-down hairstyle. we put in extensions to help give her volume. The morning of the wedding Nha showed me a set of extensions without the clips already sewn in! One second of panic until I figured I can just secure them in with bobby pins. I made sure to lock and secure all my bobby pins in by cross pinning them. Her hair extensions stayed in all morning, day, and night! 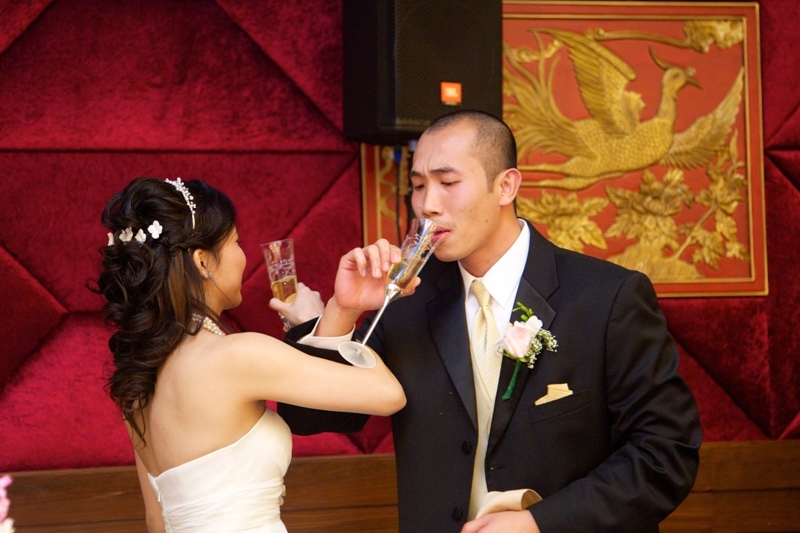 For more reviews please visit: http://www.yelp.com/biz/vanity-pham-san-francisco Or write your own! Keep posted for more Wedding Highlights from my beautiful brides. And if you were one of my bridal clients, please send me some of your favorite pictures to share!